Happy Monday! As we tackle yet another work week, today I wanted to focus in on one of the dilemmas that us ladies face when dressing up for work: comfortable shoes. 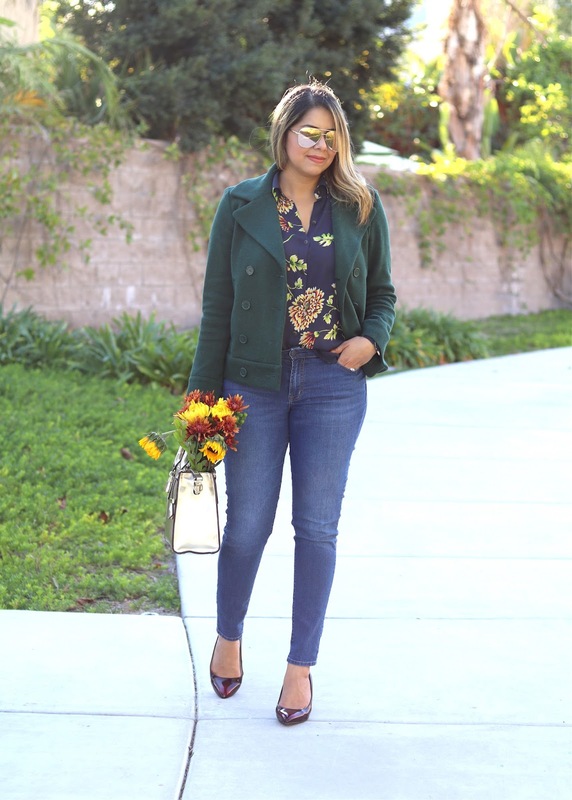 For many years I have thought that comfort had to be sacrificed for my attire to look sleek in heels and I'm not going to lie, I would tend to go straight for the flats because the last thing I want is achy feet especially after an 8 hour work day until ... I was introduced to the LS Revolution Catwalk Pump. The LS Revolution Catwalk Pump looks like your classic heel engineered with unexpected comfort. It specializes in fashion AND comfort where neither has to be sacrificed. When I received my red pair (it also comes in black or blue) and I tried them on, I was like "wait... what?!" it didn't feel like I was wearing an over 3 inch heel! So aside from styling this look and letting you know like a good girlfriend would I am also bringing you a giveaway! LS Revolution offered to giveaway one pair of LS Revolution Catwalk Pumps* to one of my readers! See Rafflecopter below on instructions on how to enter. Now onto the giveaway! Prize: One pair of brand new LS Revolution Catwalk Pump (here). Use the Rafflecopter below to enter where the more ways you follow, the better chance you have of winning this prize! great look! nice metallic bag! you look stunning and love the aviators! xO! Love the top and the jacket! Love this entire look and those heels as well. Wish me luck and good luck to the rest of the entries.